The Ordinary Life of an Extraordinary Girl: 27/31 the last blog hop or Alex rides the bus! 27/31 the last blog hop or Alex rides the bus! 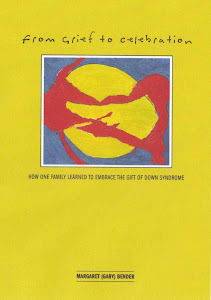 This month of October is devoted to creating an awareness of the skills and talents of people with down syndrome. At last count at least 170 bloggers are participating in this initiative, each and every story is full of love, magic and promise. 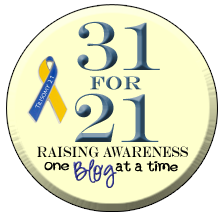 For these October Fridays "With a Little Moxie" and "The Unknown Contributor" put together a blog hop, anyone can add their link and all these awesome stories about people with down syndrome can be accessed from a number of blogs. Check out the link below! My awareness story is about Alex my 19 year old daughter who rocks an extra chromosome. Alex is taking a "gap" year before attending college next year. The Disney Channel and Words with Friends just were not hacking it for me...so now she is working, volunteering and participating in community activities just like her peers. This past week her Mom chauffeur participated in a once in a lifetime event, competing in the USTA Nationals with her tennis team. Due to budgetary constraints we drove the 14 hours to Palm Springs, which meant leaving on the day Alex works at the Pizza restaurant, without a way to get there. To back track a bit, we have been trying to get Alex to take our great local bus system for two years. For graduation her brother got her a pass and promised to take her on a few rides, but she would have nothing to do with it. So I threw my hands up in the air, let it go and assigned myself to yet another year of chauffeuring. I never know what makes Alex tick, she is motivated by different things than I am (which includes food on her part) and has a different sense of what is important. Personally, I think she has a better sense than I do and I need to take some lessons from her. She does not get headaches, or nausea in stressful situations or loose sleep about money..but I digress. On that day I could not take Alex to work, she set her alarm, walked two blocks to the bus stop, handed the driver her pass, got off at the right place, called me to tell me she was almost at work and got there 15 minutes early....I had NO idea she had scoped out the bus stop, asked her Dad to print out the bus schedule and knew exactly where she was going, all because she did not want to miss work. And once again I stressed for nothing. As my 17 year old son reminded me on the phone today after he discovered his secret stash of oreos decimated...."Mom, she is much smarter than we think" AMEN! Keep rocking Alex! And keep rocking these blogs! Alex is a rock star! Thank you for sharing your life with Alex with all of us. It is great to get a possible glimpse of the future. Now everyone reading this comment, go buy their book. It is a quick read and I read it when my little 3yo was a wee little bambino. I have reviewed it several times--I am #7 on the blog hop. You go Alex. It's amazing what our girls can do. I will never forget when April rode the Metro bus by herself the first time. She had to traveled downtown and I prayed and held my breath(so it seemed) until she arrived safely at her destination.